Graham Smith’s new book The Accidental Jungle combines his passion for architecture and sustainability with his penchant for storytelling and illustration skills. 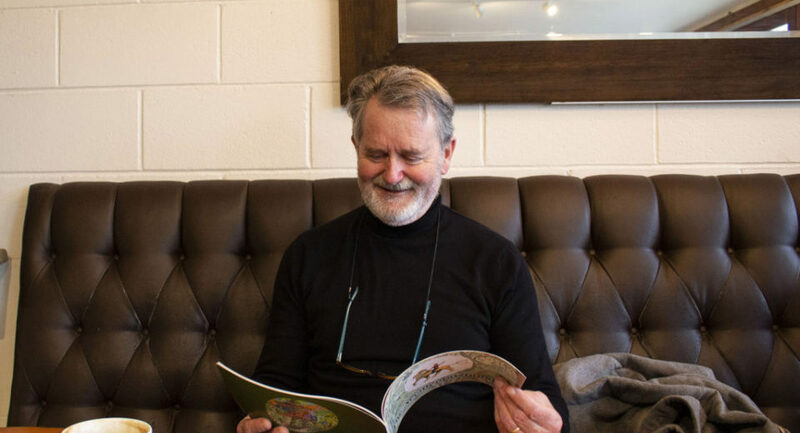 “Educator, architect, and artist.” This is how Graham Smith describes himself, and as we met and chatted at a Vancouver cafe, I could see how easily and interchangeably he wears each of those three hats. We decided to sit down with architecture and environmental design instructor Graham Smith for a couple of reasons. One, he’s been an instructor with Arts Umbrella for a decade; and two, he recently published a children’s book called The Accidental Jungle. When he arrives at the café, Graham looks the part: something about the black turtleneck with glasses on a string around his neck just screams “creative” to me. After some opening pleasantries and bonding over our shared English degrees, we get down to business and start our conversation about his book and how he came to be a published author. Drawing has always been an important part of Graham’s life. 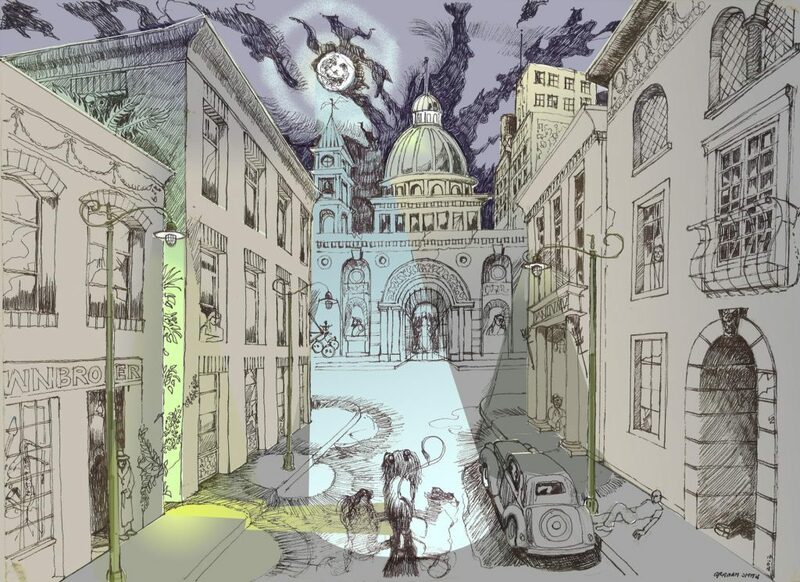 As a kid, he drew constantly, and this continued into adulthood. Years ago, Graham spent some time working in Seattle, away from his family in Vancouver. Rather than pay for cable television, he filled his evenings with drawing, painting, and illustrating. And when he was home with his children, Graham would read to them every night. Three children meant that Graham spent the better part of a decade reading children’s stories—and getting inspiration for his own stories. In fact, as Graham explains, it was “the conflation of knowing how to draw and telling my kids stories” that created the perfect storm for him to begin illustrating and writing his own book. The Accidental Jungle is Graham’s first published book, but he spent his time in Seattle illustrating and writing other stories. As we chat about his first two—a children’s escape fantasy called If I had a Boat and another one called Pascale’s Secret Tea Party that also touches on the theme of escapism—it’s clear that his writing has been heavily influenced by the books and stories he read to his kids. 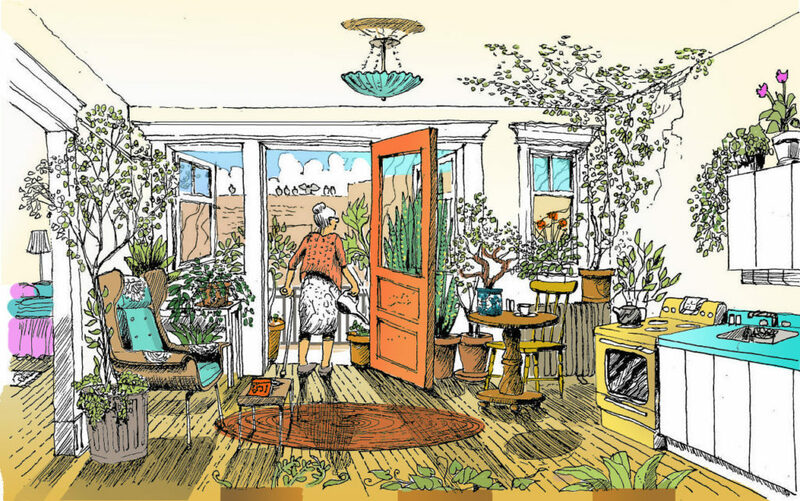 With The Accidental Jungle, Graham wanted to connect the topics that are close to his heart: sustainability and architecture, along with another popular theme in children’s literature, loneliness. As I read through this picture book, I was struck by how perfectly it incorporates all three of Graham’s “hats.” With beautiful illustrations, The Accidental Jungle weaves a story that is both fun and uplifting but also informative. And this was intentional. As Graham explains, he wanted the book to teach about sustainability and architecture, while addressing and raising awareness around the “epidemic of loneliness” in children. 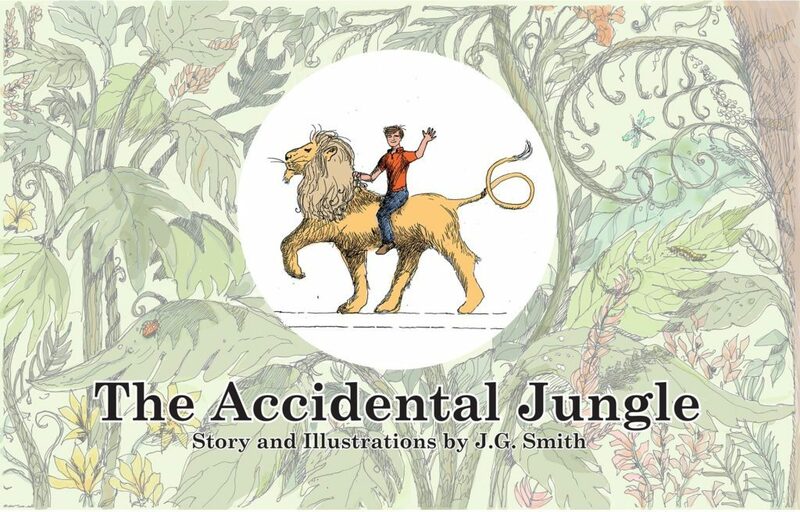 If you’d like to read this wonderful book—and support an Arts Umbrella instructor at the same time—visit The Accidental Jungle’s Facebook page to buy yourself a copy! Our conversation with Graham ended up being a lengthy one, covering too many fascinating topics to fit into one post. So, consider this the first in a two-part series about Graham Smith, educator, architect, and artist. This part discussed his book and explored Graham-as-artist. Part two will delve into his time teaching at Arts Umbrella and working in the field of architecture: Graham-as-educator and Graham-as-architect. If you’re interested in learning more about our Arts Umbrella architecture classes, you can do so here. If you want to learn about the classes Graham teaches, especially the Architecture Scholarship Intensive, click here!